An imaginative boy brings a surprising array of friends to dine at the palace in this Caldecott Medal–winning picture book. “Any friend of our friend is welcome here,” says the King. But their guest’s friend turns out to be someone they never expected! 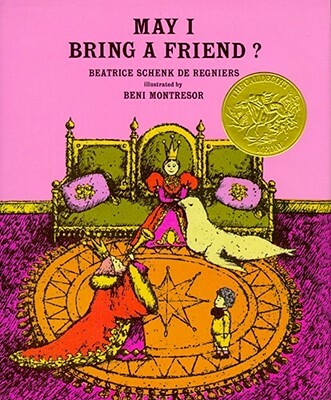 Beatrice Schenk de Regniers’s rhythmic text and the fantastical, jewellike artwork of Beni Montresor have made this book a favorite for more than twenty-five years.